Suriya's "Masss" has opened to a fantastic start at the box office in Bengaluru. The Tamil movie has got overwhelming response from the Kollywood cine-goers as Kannadigas in the Karnataka's capital. 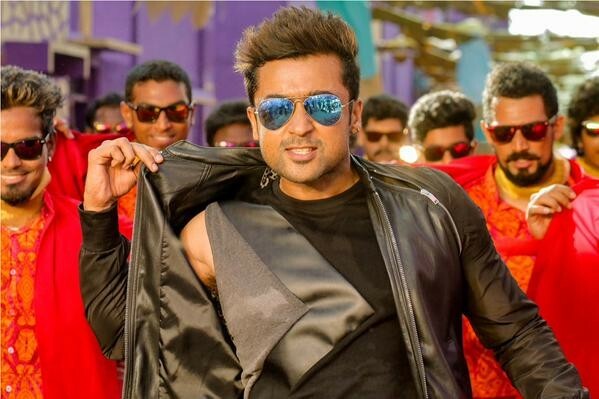 Suriya's "Masss" aka "Massu Engira Masilamani" has opened to a fantastic start at the box office in Bengaluru. The Tamil movie has got overwhelming response from the Kollywood cine-goers as Kannadigas in the Karnataka's capital. The movie is distributed by Srikanth, who has reportedly paid ₹4 crore for the rights. The movie had close to 150 shows on the release day in the Garden City of which 36 shows were played on single screens. The Telugu version had just about 10 shows on the opening day. Sources say that "Masss" has got a fantastic start in Bengaluru. The movie had a decent response for the morning shows but gradually it picked up well following the good word-of-mouth. The movie, on an average, had 75-85% occupancy on the release day for all the shows in Bengaluru. The early estimation from the trade says that the movie has raked in about a crore on the first day here. The advance booking had a good response and most of the evening shows ran into packed houses. The multiplexes cashed in on the occasion by increasing the screen count. Adding to that the varied ticked prices helped the movie make such a huge business. Prices varied from ₹150-900 for different shows and at different multiplexes. However, Bengaluru has always been a good market for Suriya as some of his recent movies have done great business in the garden city. His "Maattrraan" and "Singham" series are some of the biggest hits of Suriya at the Bengaluru box office. However, his last movie "Anjaan", after getting earth-shattering response, had failed to keep the cash registers ringing. Suriya, Nayantara and Pranitha starrer "Masss" has opened in close to 1600 screens (Including Telugu version) worldwide and has got outstanding response from all the circuits. In Tamil Nadu, it is released in 425 screens, a total of 410 screens in Andhra Pradesh/Nizam, 125+ screens in Kerala, 110+ screens in Karnataka and another 100+ screens from rest of India. In the overseas circuits, the total screen count has crossed 400.